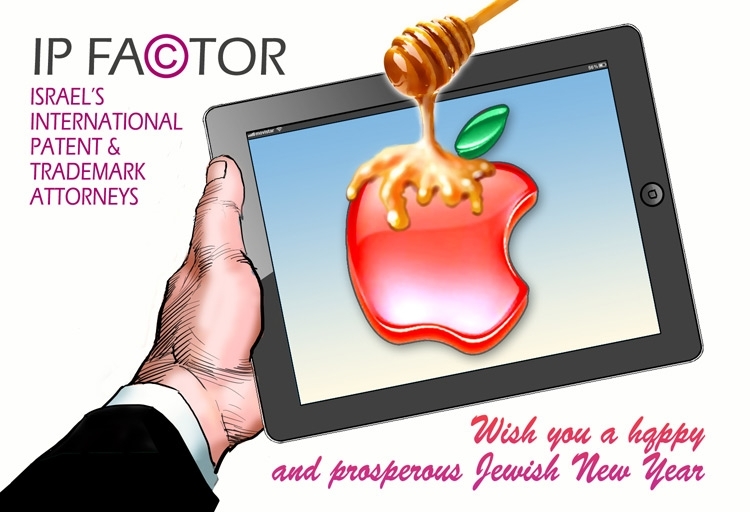 The Israel Patent Office will be closed over the Jewish New Year – Rosh Hashanna on 4th and 5th September 2013 until Sunday 8th September. on Yom Kippur (September 13th, 14th) and over Suckot from 15th September to Thursday 26th September when the Israel Patent Office will actually be closed until Sunday 29th September. All deadlines landing when the patent office are closed are automatically extended to the next working day. Please note, although PCT international filing deadlines are extended until the patent office reopens, in cases where the priority document is a US provisional application, the United States Patent Office (USPTO) does not recognize a US national phase entry of a PCT application filed in Israel after such a closure as being timely filed. We wish our readers a Happy New Year.